Many of us like to explore at our own pace, kayak hire or “self guided kayaking” is perfect for singles, families, groups, kids birthday parties and staff outings. 20 mins south of Batemans Bay and 15 north of Moruya lies the Tomaga River, a unique tidal estuary dividing the small coastal settlements of Mossy Point and Tomakin. 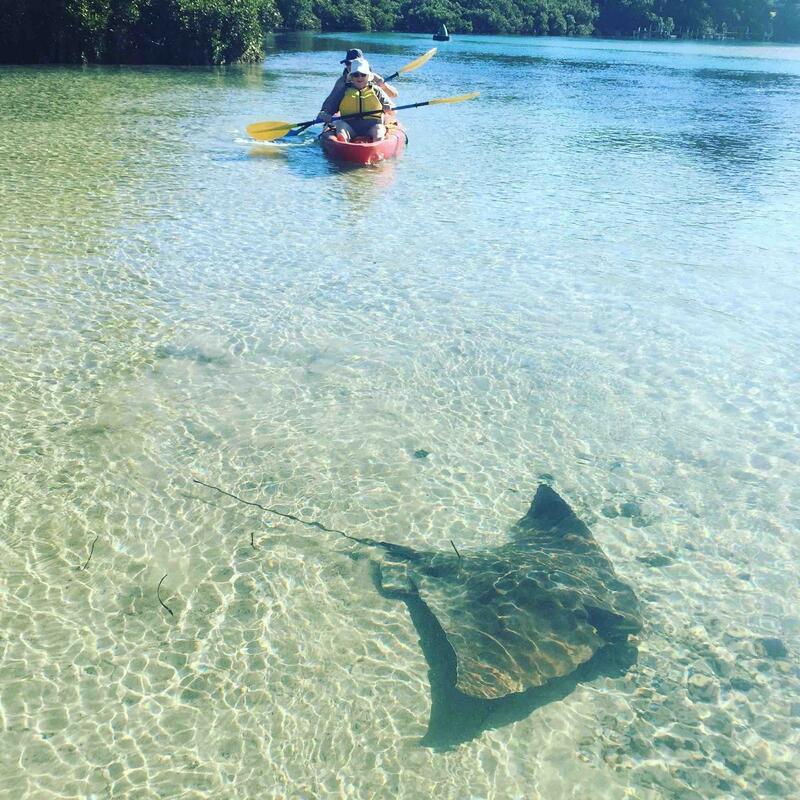 You get your choice of single or double kayaks, all equipment, a lesson, dry bag for your gear, a map and away you go exploring this safe estuary, its clear, clean water, mangroves, tidal flats and various creatures that inhabit the area including stingrays, crabs, fish, eagle rays and water birds. 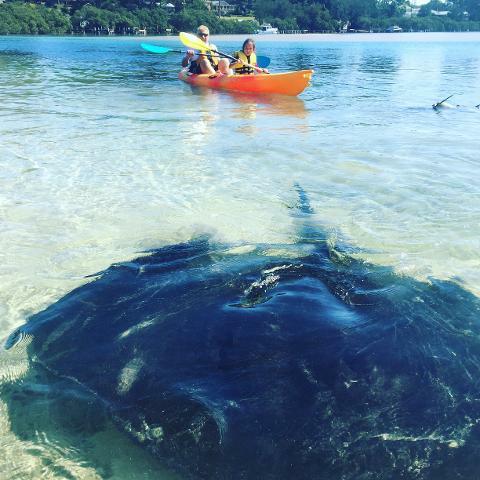 The Large smooth spotted stingrays are becoming a regular attraction as they feed at the boat shed on fishermen’s scraps as they clean their daily catch. Well worth a visit! 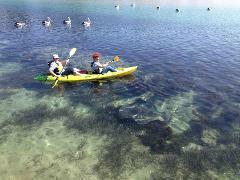 Once in Mossy Point find our Boatshed by following the blue “kayak hire” signs to the boat ramp. Open every day in the school holidays and other times by appointment. The only local place to hire a stable sit on top kayak, single or double to explore the area. You can choose to hire for 1 hour up to full day. Bookings Essential. Please note that bookings and times will be subject to wind, weather and tidal conditions on the day.